Shopping for Blues Brothers T-Shirts? Strike a deal with The Blues Brothers! High-quality t-shirt featuring a classic quote from the film. 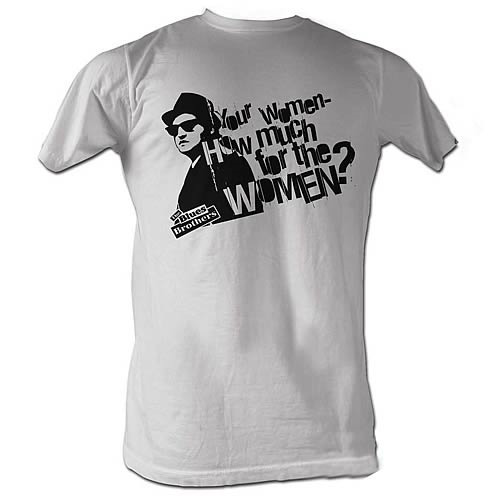 The Blues Brothers Women T-Shirt. Brush up on your negotiating skills with this 100% cotton, high-quality white t-shirt. Machine washable. Order yours today! Shirt says: "Your women - How much for the women?"